Many gluten free baked goods are loaded with sugar and overly-processed ingredients. Just because it's gluten free, does not mean that it's healthy. Let's go beyond labels and into a realm of seasonal desserts made with whole foods and very little sweeteners. A guilt-free crumble?? Elena's Pantry offers this grain free delight which uses fruit as the only sweetener. This Paelo-diet inspired recipe is filled with nutrient dense goodness. All you need is a blender and a fridge to make these simple yet decadent cookies. 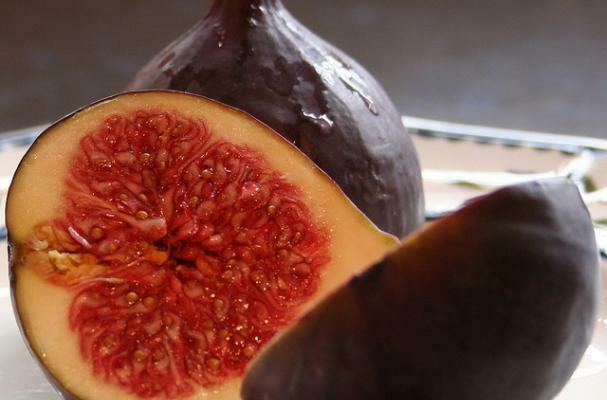 MMM, figs are coming into season and this amazingly delicious tart puts them to good use. Summer's bounty is well represented with this peachy keen pie. I suggest cutting the honey in half, because you'll get plenty sweetness from the fruit. Where can I buy frsh figs? Dillons does not carry them? I'm not sure what kind of shop Dillon's is, but typically I buy produce from local farmers markets or co-ops.